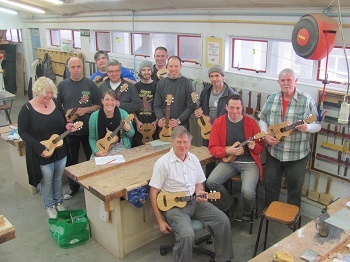 Join our experienced ukulele builder from Goldbeard Guitars in an intensive week-long workshop, where you'll produce a concert-sized ukulele. All materials provided. Make your own concert-sized ukulele, with step-by-step instruction under Dave's expert guidance. 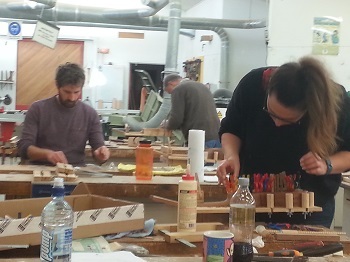 The course will be combined with the “Build a Backpacker Guitar Workshop” (with some participants making the ukulele and others the guitar) and is limited to 12 enrolments (with a minimum of eight needed to go ahead).